Have you noticed how in the last few years shawl knitting has evolved from lace over to fabulous colour and texture patterns? I certainly have and it's been reflected in my designs as well. 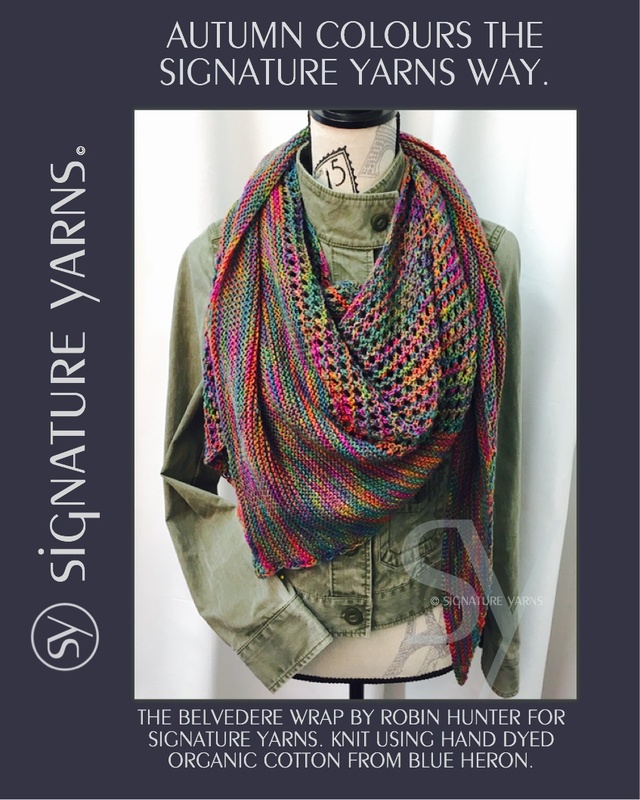 I think these patterns are more accessible and make for easier carry around knitting projects. 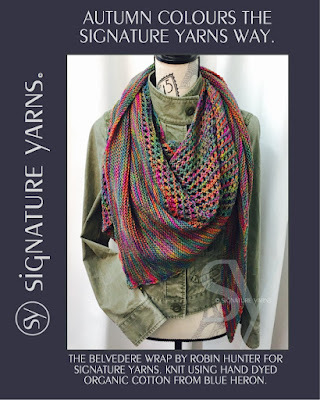 I've heard from quite a few knitters who have made my Belvedere Wrap pattern and I've been delighted to discover many of them have made it more than once. I guess it's not that surprising since I've made four myself with the original prototypes worked in stash yarn to the samples I did for Signature Yarns. Patrick has had some additional samples done in other yarns and here's a couple of examples. If you are interested please consider buying directly from him.